Mr Eshwarappa and Mr Somanna took upon themselves the task of shielding Mr Shankaramurthy. Bengaluru: Two BJP leaders – K.S. Eshwarappa and V. Somanna – whom state unit president B.S. Yeddyurappa loves to hate are the architects of the party's strategy to help Chairman of the Legislative Council D.H. Shankaramurthy, retain his position by defeating the no-confidence motion moved by the ruling Congress, on Thursday. Sources in the state unit of BJP told Deccan Chronicle that Mr Yeddyurappa was vehemently opposed to an understanding, either covert or overt, with leaders of JD(S), particularly ahead of next year's elections to the Assembly. 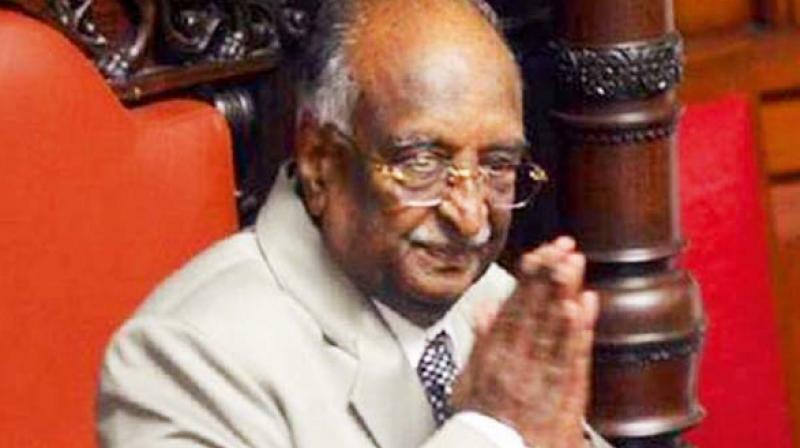 Therefore, he was firm in his stand that senior colleague, Mr Shankaramurthy, losing his position in the wake of the motion would not impact the party's prospects in next year’s polls, and put it across to party colleagues in as many words. Besides, he felt striking a deal with JD(S) or asking for support of leaders of that party to save Mr Shankaramurthy could prove counterproductive with former chief minister H.D. Kumaraswamy likely to exploit the situation, and humiliate Mr Yeddyurappa to confuse the voters of north Karnataka. At this juncture, Mr Eshwarappa and Mr Somanna took upon themselves the task of shielding Mr Shankaramurthy. Their strategy was also intended to prove a point to Mr Yeddyurappa that they too could handle a political crisis as they enjoyed some clout among party legislators. Mr Yeddyurappa may have chosen not to stop them because with Shanakara murthy, no longer an RSS favourite, he would lose nothing by adopting a hands off approach. Why RSS is not comfortable with Shankaramurthy? Mr Shankaramurthy reportedly fell out of favour with RSS' leaders months ago after a casual remark about the RSS and Mahatma Gandhi's assassination. “His strained relationship with RSS leaders also cost him the Governor's post that he had hankered after. He's been lucky - nominated to the Legislative Council five times, appointed a minister, Opposi- tion leader and then Chairman. What more can one get?” asked top sources in BJP.